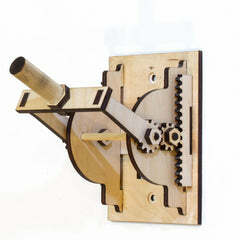 These whimsical set of rack and pinion gears which convert rotational motion into linear motion. Sure to add a little twist to any room. 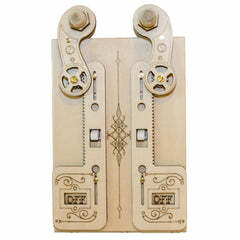 Created with brass hardware and laser engraved details. Easy installation, simply attach the switch cover over a standard double toggle switch and reuse the existing screws.